Ambush marketing is a marketing strategy where an advertiser “ambushes” an event in order to compete for exposure against all the competing advertisers. It is most common in sport advertising, such as FIFA, the International Olympic Committee and the National Football League. Organizers have tried to control the use of Ambush marketing by requiring the host cities of these events to create special laws restricting non-sponsors from creating unauthorized “associations” with these events. However, it attracts controversy for limiting freedom of speech. The NFL forbids players from displaying the logos of non-sponsors during games, practices and pre/post-game media appearances, but 2014, NFL player Colin Kaepernick was shown wearing Beats headphones during a post-game press conference and at this time the NFL was sponsored by Bose Corporation. So, because of this, the NFL fined Colin Kaepernick and for forced to cover the Beats logo with duct tape. Could you imagine if a major event came to your city and one of the official sponsors was a giant competitor like Coca-Cola? And can you imagine every billboard, every side of every building, and every bus stop bench was covered in Coca-Cola advertising? And can you imagine your city’s mayor signing a deal that only Coca-Cola could be sold at site events? 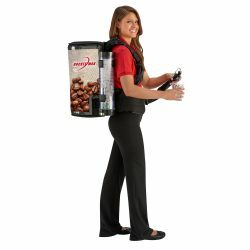 Now, can you imagine samples of your product being handed out by a legal street team using RocketMan beverage canisters? Or can you imagine your logo being placed in every bar in your city by means of free cocktail napkins for bar owners? Or can you imagine your visual identity being broadcasted on-site by legal, roving projection vehicles that create stimulating billboards made of light and sound?